We cater all events large and small. Great romantic atmosphere old Vegas style. Food was delicious, but a little over rated for the price. Loved the calamari and lobster bisque, these were the stand outs. My tortillaci pasta sauce almost reminded me of raviolis, but ingredients fresh and flavorful. The long bone ribeye was cooked perfectly but maybe could use a little more flavor. Bernaise sauce was too thick and rich, loved the truffle lobster pasta although it also lacked garlic. Mushroom side was delicious! Great service by our server, Sandy. Great tasting food, nice romantic setting in out booth, very intimate, dessert was amazing, we will be back for sure. It was the best meal we have had while visiting LV. 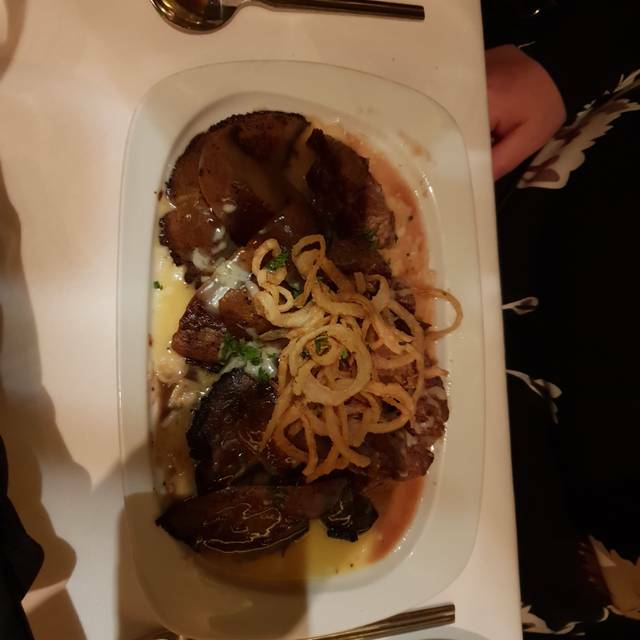 We are foodies and I can always have a good steak but went with the Filet with the Zip sauce and it was amazing ! The Calamari was so fresh and a huge portion, too. Had the Lobster Bisque and it was outstanding! The only negative was the bread basket-don’t usually eat it but would’ve thought it would’ve been something other than French bread and sticks and warmer. Overall, would recommend it ! We had dinner here on our wedding night and we we’re not disappointed. Everything from the ambiance, to the service, to the food, could not have been better. We will definitely be back when we come back to Vegas. Also, our waiter John, was outstanding! I never order steak at a restaurant because no one can prepare it as good as I can but I’m now wrong. The best piece of meat I’ve had in my life. The zip sauce is mild and enhances the beef, much to my liking. 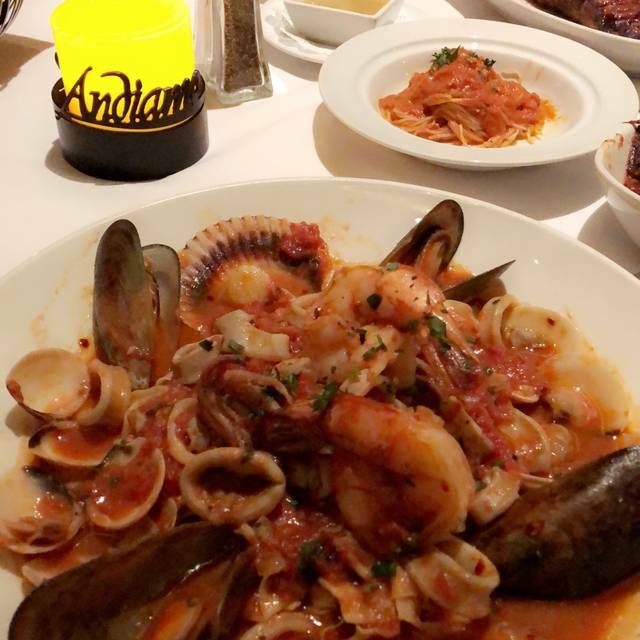 Sides were amazing, appetizers were as good as it gets and having just returned from Sicily within the past year I can safely say the cannoli was amazing and authentic. Decadent. The service was as I’d expect in the finest restaurants, professional, exemplary, seamless. Enhancing to the meal and experience. Treat yourself, you deserve this. Steak just want that good. You should try to enforce a little stricter dress code. T-shirts and shorts just seem a little under dressed, other than that, love the place and will be back! Great place! Loved our meal. Wait staff was top shelf. 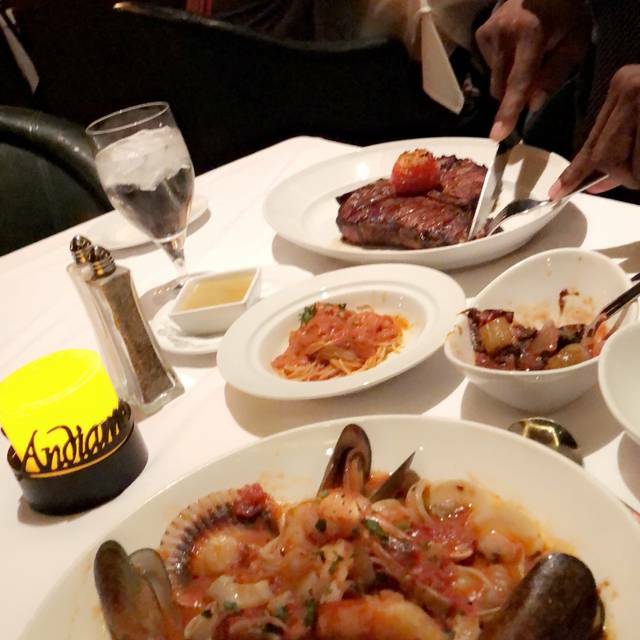 I only come to Las Vegas to dine at Andiamo’s! Perfect 10 every time! My friends and I will be back. The best steak I ever had. The butter sauce was scrumptious. The atmosphere is great, the food is awesome but our service was poor. Our waiter was fairly attentive up to the point that he got my order wrong. I did keep the meal I was served but at that point I felt we were pretty much ignored from then on out. I had ordered a $160 bottle of wine and had to ask for another. I then had to flag him down and asked if we could order dessert. And finally I had to flag him on last time for our check. He never came over to ask how we were doing or if he could get us anything else. I have been here on 2 prior occasions so I know this is not how their service usually is and based on that knowledge I would come again! Miguel, the waiter, is the best! Great food, great service. The box type table was a bit too tight, though. Overall, excellent experience. I enjoyed it very much. Food was decent but not the best steak I've ever had for a Steakhouse . I ended up getting sick later and it could have been from Cesar dressing. Made a mistake and ordered Italian food instead of steaks. Worst Italian food we've ever had in Vegas. Olive Garden is better. 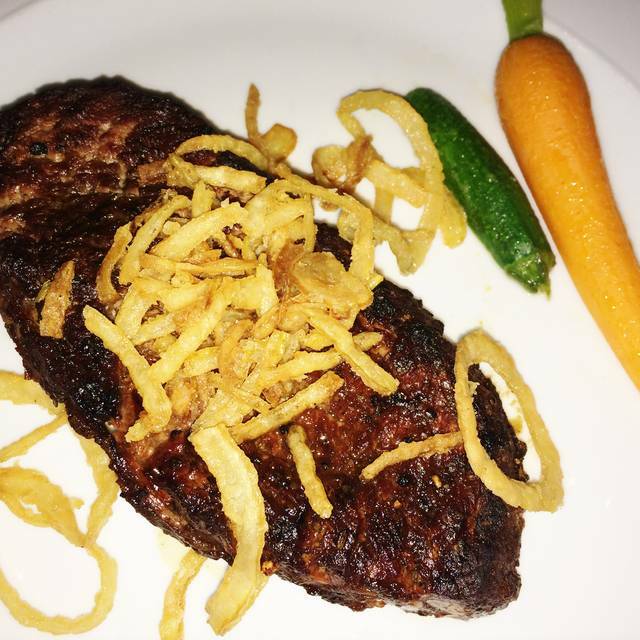 Great steak, service and overall restaurant. Enjoyed it. Really quaint place with amazing ambience and really cute booths. Our waiter Paul had a great personality and took great care of us. Really had a great steak and amazing wine. Great service our waiter I believe Nolan was outstanding, every ones meals were excellent, very good pours and fairly priced, will be going back for sure. Good food and drinks! Of course service was excellent!! We will be back for sure on our next trip!! Everyone was wonderful. Our server Joaquin was the greatest. Always a nice treat to dine here. 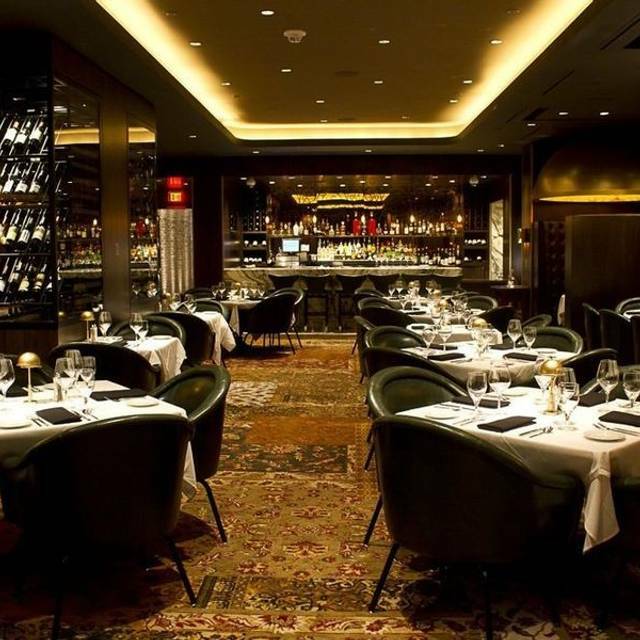 I had been travelling to Las Vegas for many years, and have stayed at The D several times until I finally tried Andiamo in January of 2018. Since that meal, I have made it a point to dine here every trip when I can. The service is impeccable, the host/hostess are very friendly, and they remembered me from previous visits. They are friendly to accommodate our large parties and transaction requests. Then there is the food, the always great lobster bisque, and every steak I've chosen has been great. 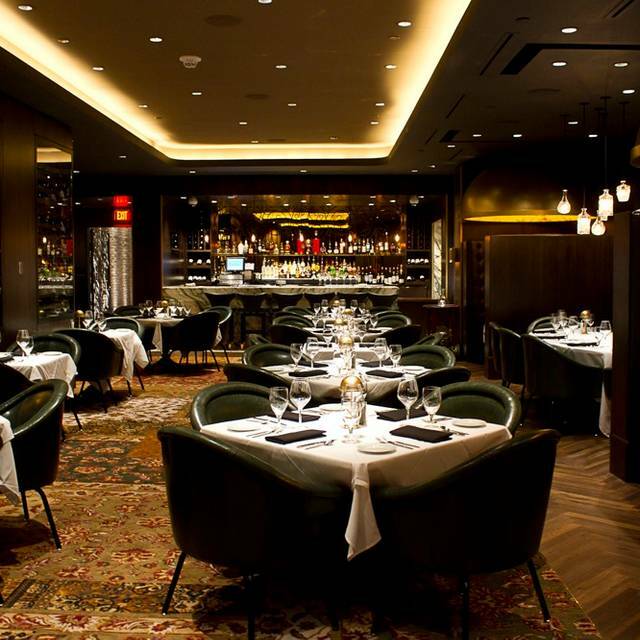 Sure, prices are a bit high, but pretty much comparable with any first class steakhouse in any city. Great service, great food, and great atmosphere make for a wonderful dining experience. the food and service were outstanding. steaks were cooked perfectly and seafood was delicious though a bit salty. I would definitely go back and take friends. Amazing food! Our waiter John made great recommendations and was so sweet! The food was phenomenal from the breadsticks and eggplant accompaniment to the caprese, lobster bisque, crab legs, steak, potatoes and coffee. Complimentary angel hair was delicate and delicious. What a great find! We will definitely be back! Amazing food and truly outstanding service! 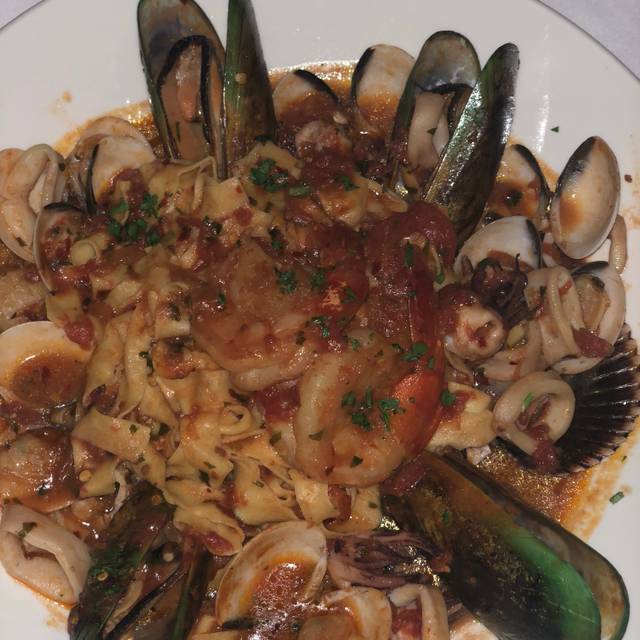 Every single person we encountered at Andiamo’s was friendly and helpful. We felt welcomed. It was a perfect place for a special occasion. Our waiter, Miguel, was fantastic. Great personality. The food was delicious. Steaks were top notch. Reasonable prices for Vegas. Wonderful experience, food was awesome...this is definitely a diamond in the rough restaurants! Our server Miguel was a joy along with very informative!!! Always an amazing experience and never disappoints. 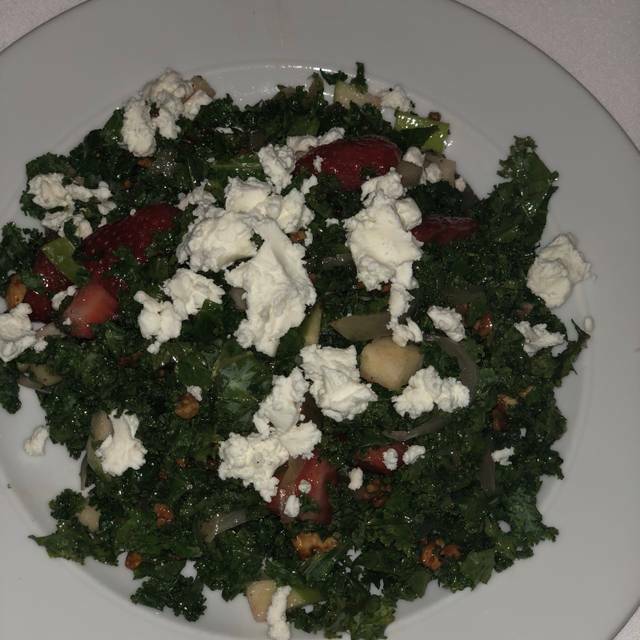 I highly recommend the kale rustico salad. 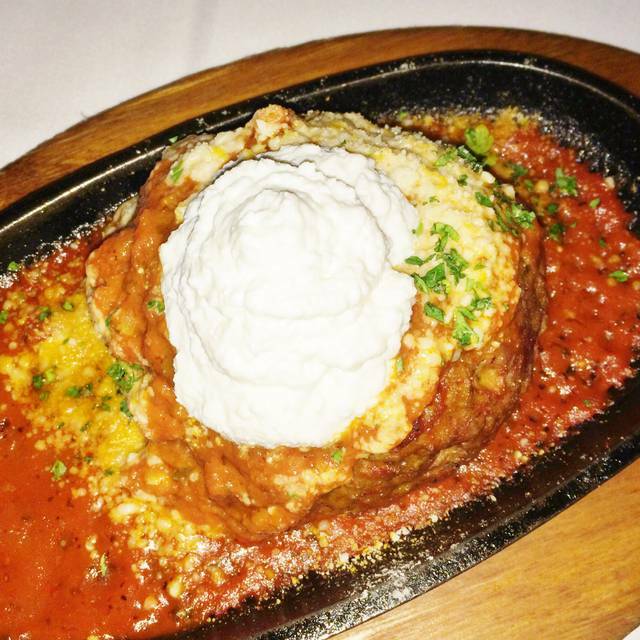 Big enough for a meal, or to share (we shared). Service is excellent as is the food. We were in a booth, and it's very intimate and quiet. This is my new favorite restaurant in town. Food quality is exceptional. Best scallops and best osso buco I’ve eaten in town. Deserts were over the top delicious. Joaquin was our server and he was exceptional. We had a booth which have 7 foot chairs making the environment quiet, cozy and personal. I can’t wait for the next visit. Signage could be improved. It’s immediately to the right and behind you as you come up the escalator. It was absolutely amazing!! Miguel was fantastic and very knowledgeable!